Bellatrix, I'm a Pug! : Sooper JUJU for Dutch! As most of you know, Dutch had to have emergency surgery for bloat. 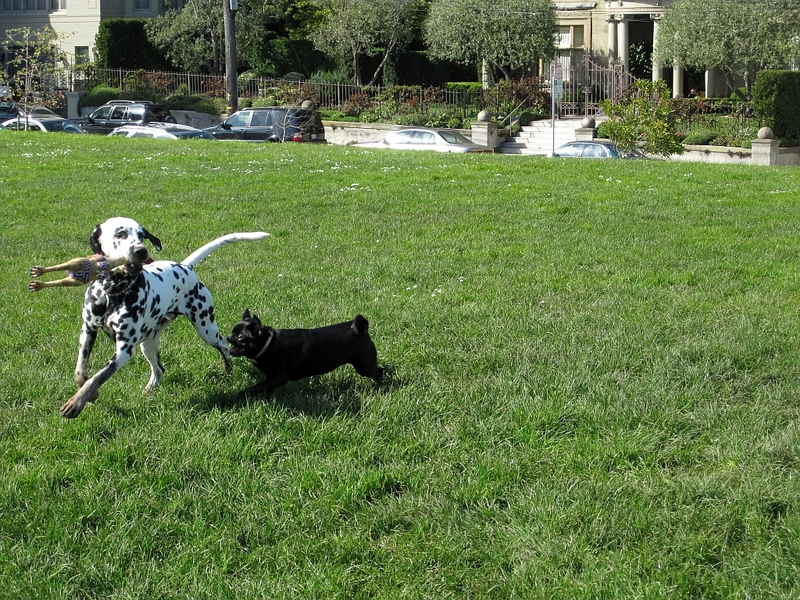 I first met my big spotted bud at a S.F. 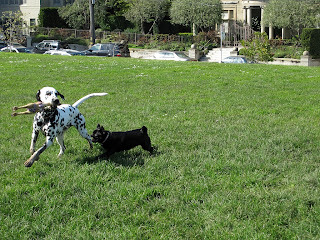 Pug Sunday when I was a wee-pug-pup, and he wouldn't let me play with his chicken. He's been one of my bestest buds ever since. So, please send extra big sooper juju-good thoughts to Dutch, his Hooman and Pug, but I don't think he knows, yet. We are praying for Dutch here, too, Belly... and hoping he gets very better all soon! Lots of praying going on here Belly! Sending all good juju Dutch's way. That is a really cute photo of the two of you, Belly!